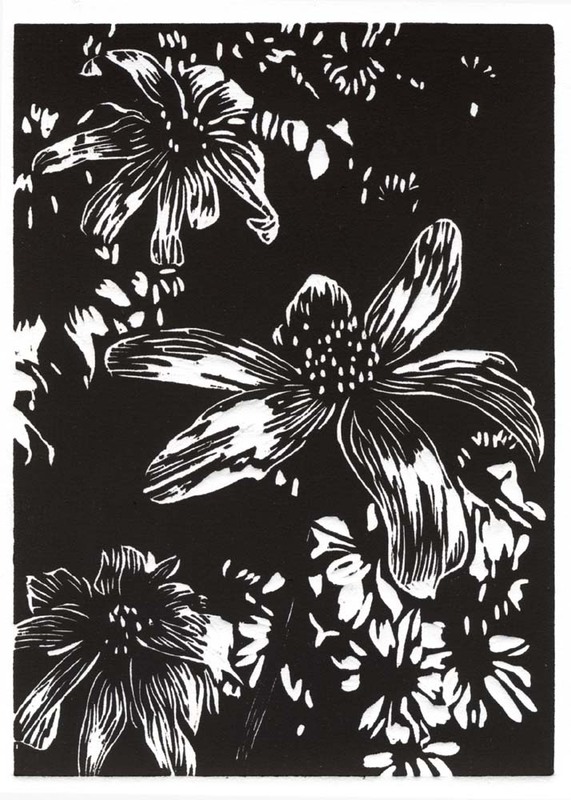 5″ X 7″ cherrywood block print on Stonehenge paper with Graphic Chemical vine black ink. Winter may have arrived in other places, but at my house the weather hasn’t made up its mind about which season we are in. One week it is the middle of summer and 107 degrees, and the next week the nights are close to freezing. The calendulas are blooming like it is the beginning of spring while the Brown-eyed Susans are wondering if they should keep up with their neighbors or be finished for the year. I want to quote your post in my blog. It can?And you et an account on Twitter?